The Powador 3200 to Powador 6600 solar PV inverters are transformerless, single-phase units with AC powers ranging from 2.6 kVA, 3.45 kVA, 3.6 kVA, 4.4 kVA, 4.6 kVA to 5.5 kVA. They are the first choice when it comes to designing residential solar power plants with easy installation and maintenance in mind. The Powador 12.0 TL3 to 20.0 TL3 solar PV inverters are transformerless, 3-phase units with AC powers ranging from 10.0 kVA, 12.5 kVA, 15.0 kVA to 17.0 kVA. 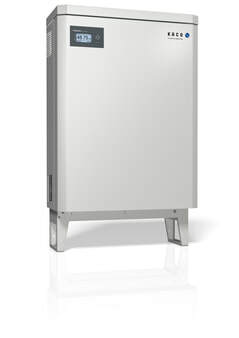 The Powador 39.0 TL3 and 60.0 TL3 are transformerless, 3-phase solar PV inverters with AC powers of 33.3 kVA and 49.9 kVA. They combine the utmost efficiency with ultimate uptime for decentralized commercial and utility-scale solar power plants. The blueplanet 15.0 TL3 and 20.0 TL3 are transformerless, 3-phase solar PV inverters with AC powers of 15.0 and 20.0 kVA. They offer plenty of scope for your photovoltaic projects in the medium power range – from small, commercial solar roofs to large-scale, open space solar parks. 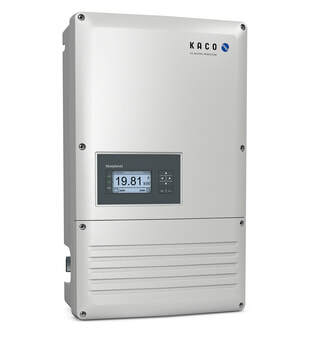 The blueplanet 50.0 TL3 is a solar PV inverter for commercial and industrial-scale solar power plants that feature a decentralized plant concept.